5f999ceca8b79e1616fac8d7eedc39c4 The Snyder Family: Snyder Family Co. Style: Baby Girl Swim Edt. As a Mama to three little ladies, I have learned a thing or two about how to buy cute, yet practical clothing for our girls. 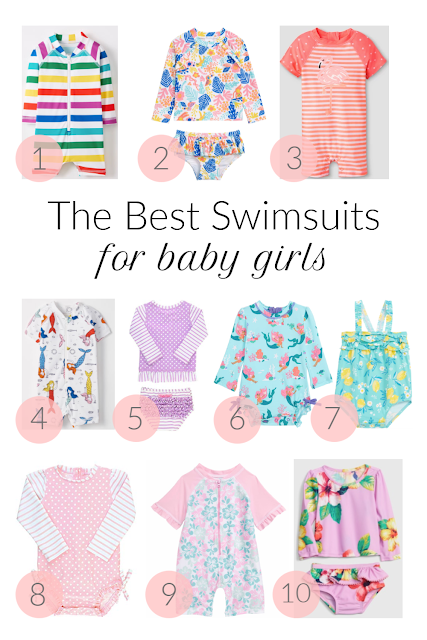 When it comes to swimwear, I never thought about what a pain it would be to change a baby girl's diaper at the beach or pool, those cute little one pieces are so hard to get on and off once your little one goes for a dip. Last year, I FINALLY found the BEST swim suits for Isla, they both had a zipper closure AND onesie like snaps at the bottom of the suit, changing her diaper was easy peasy! When swimsuit shopping for your little ladies, I suggest you look for suits that have one or all the following: snap closure bottom, zipper in the front or back and two words... rash guard, it's so nice to cover up as much of that sweet little baby skin as possible! 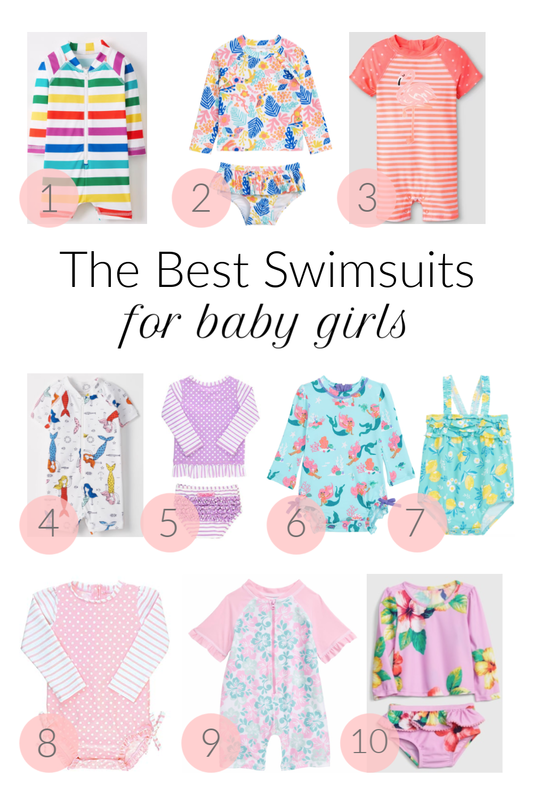 Here are ten adorable and affordable swimsuits for baby girls, now all we need is some sunshine and a trip to the beach!